Cynthia is the bestselling Author, Blogger, Lecturer and Founder of the multi award-winning Emotional Fitness Program. Since 1995 she has helped nearly 30,000 Australians, from the leaders of commerce and industry, indigenous communities, elite athletes and teens – improve their emotional health and well-being. Her extraordinary work has been recognized with an Australian of the Year Award (Qld. Local Hero Category 2005), The Prime Ministers Award of Excellence Award, and The Pride of Australia Medal. 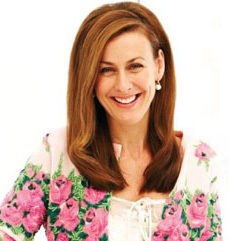 As a columnist for Balance By Deborah Hutton Better Health Magazine, Spa Life, Brisbane Circle and Spark Magazine, Cynthia is often asked to comment in the media on emotional issues. The Emotional Fitness Program has provided services for:Australian Federal Government (Dept. of Health & Ageing) Griffith University Royal Brisbane Hospital, QR National, Relationships Australia Queensland, State Government (Dept. Health) Lifeline Australia, The Department of Education, The Step Up Foundation, Montessori Australia,Family Relationships Services Australia, Brisbane City Council, Victorian Transport Association, Lend Lease & Channel Nine. Cynthia’s keynote presentations and workshops offer a common sense formula and emotional tools that take the individual on a voyage of discovery. She explores the impact emotional illiteracy and heart trauma has on a human heart as it gets stuck in the mode of survival.